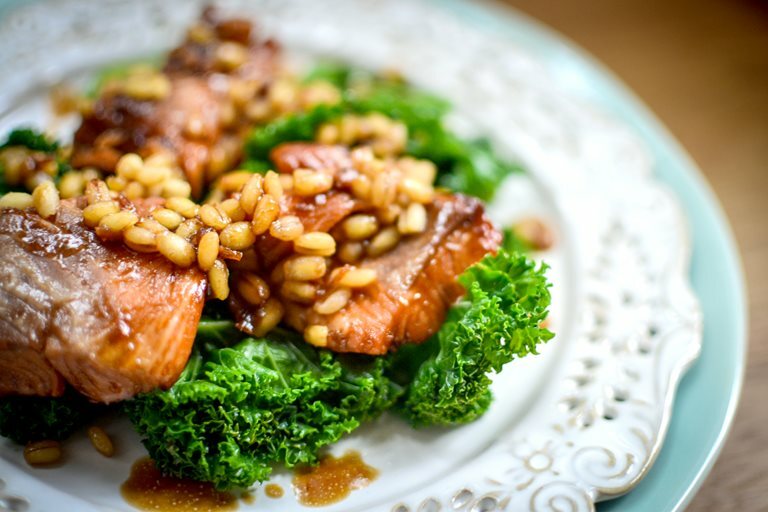 Urvashi's salmon teriyaki recipe is quick and simple to make, packed with flavour and served with a healthy kale and barley salad. 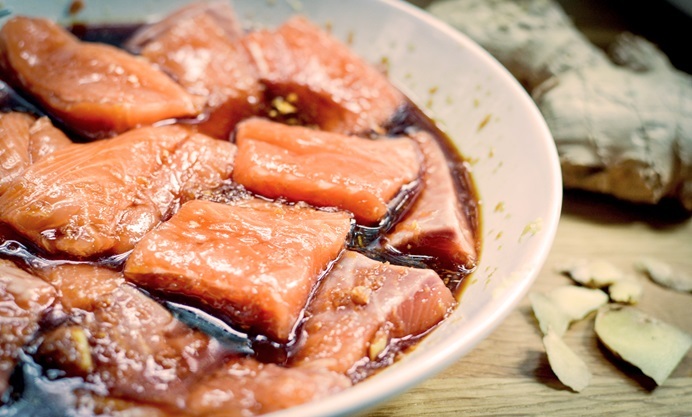 A great Japanese-inspired dish to try at home. Easy to grow and delicious to eat, I planted six kale plants late last summer. They sprouted up beautifully and were tasty and delicious for soups, salads and pesto. I even tried a smoothie... I wasn’t that impressed to be honest. Tasted OK but I wasn’t a fan of the thick texture. I knew they would be hardy enough to survive the cold, but little did I know some critter on our allotment would enjoy them as much as we did! So sadly, for the last week or so, I’ve had to buy my kale fix. Still, at least it’s not expensive. Today at my local market I paid £1 for a 500g bag. One of the reasons I started eating kale is because I had a high cholesterol score at my last health check. Baking and cheese take their toll eventually. 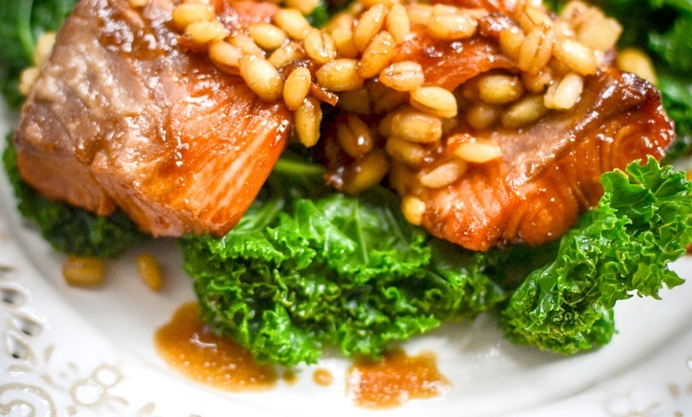 My counsellor advised that kale is a great food for lowering cholesterol and the best way to cook it is to lightly steam or blanch with boiling water. The latter is my preferred method because it’s so quick. 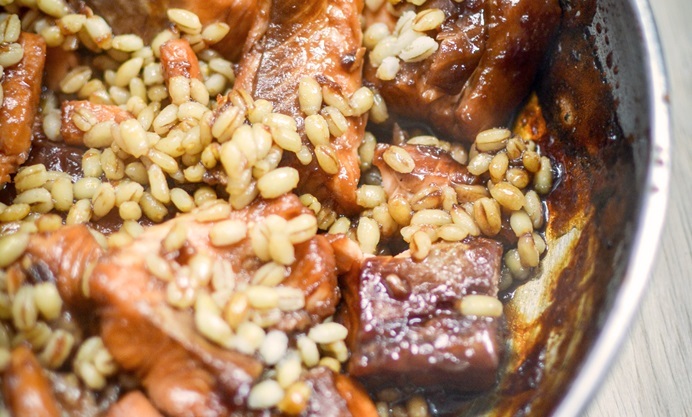 This is what I’ve done in this salmon teriyaki recipe which feeds four people.